Beer doesn’t find its way into my cabinet very often. I enjoy the occasional Michelada at a brunch, and even rarer I’ll go for a nice sour beer over at the Verdugo bar in my neighborhood. But I’ll never ask for it out anymore. There was a time when I’d get a Stone, or an oatmeal stout. Now I’d rather make a beer float, or seriously, beer mousse with that Young’s Chocolate stout. Oh man, so good. However, there are times where you’re just going to have beer to deal with. This recipe actually stems from a house warming party about 5 years ago where my husband wanted ONE drink to be had at the party. I’d never heard of it before, but he insisted on something called Texas Tea. This was just around the time that PBR was making its way into every hipster joint in Los Angeles. Or at least it felt that way. If you want cases of something at your party, PBR is the way to go. It’s cheap. You know what else is cheap, limes. Your #2 ingredient in this cocktail. In fact, it’s only two ingredients. Even stranger, it’s really quite refreshing. 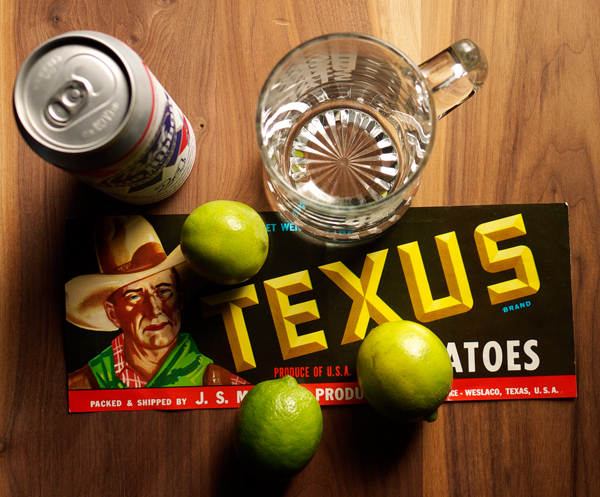 I tried actually doing some research here and seeing if I could find something along the recipe that we used that day, but mainly Texas Tea brings up a drink akin to a Long Island Iced Tea. And some rather crude non-drink related articles. This cocktail though really does not require that much thought. It can be tweaked according to your own tastes so the recipe is rather a set of guidelines for you to follow. It’s also now being dubbed Hipster Soda. Grab yourself a rather large beer stein. You know you have one. It’s in a box marked “college” somewhere. 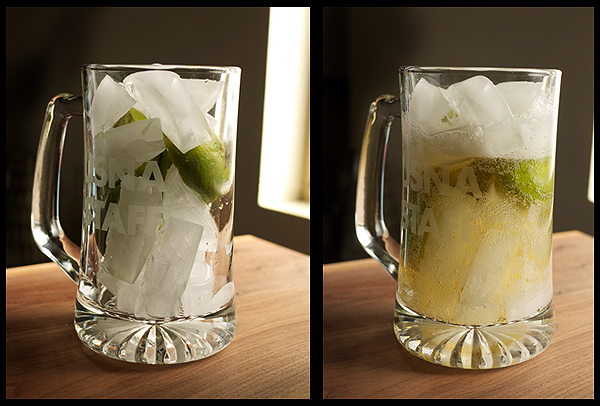 Squeeze the juice from two or three limes and add the spent shells to your stein. Add ice about 2/3 of the way up the glass and pour the PBR over the whole thing. Throw one back. Why so many limes? For me it makes it more palatable. For your drunken college kid, you’re making a real cocktail here. Enjoy. 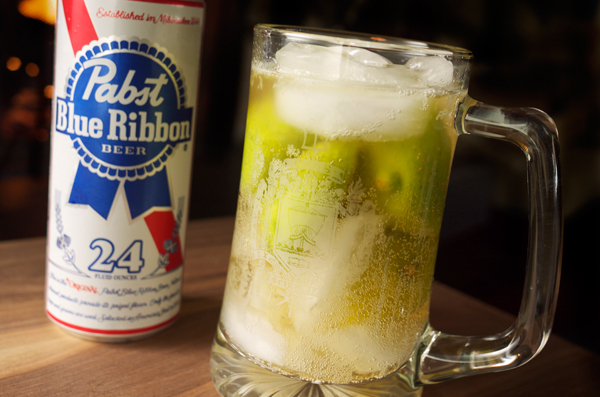 Where I started drinking, PBR was known as “Punk Rock Soda”. Since it’s cheap, it’s punk rock. But lime was usually reserved for Mexican beers like Dos Equis, Tecate, Pacifico, etc.